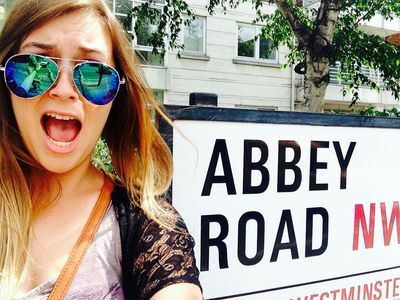 Selfie in front of an Abbey Road sign just after crossing the famous crosswalk from The Beatles' Abbey Road album art. Williams, Morgan, "#AbbeyRoadSelfie" (2014). Study Abroad Photo Contest. 12.